Image: World Market, Ikea, Walmart, Lauren King/EyeEm/Getty Images. Design: Kenzie Mastroe/SheKnows. Break out your fuzzy red velvet bows and green garlands, because the holidays are upon us! 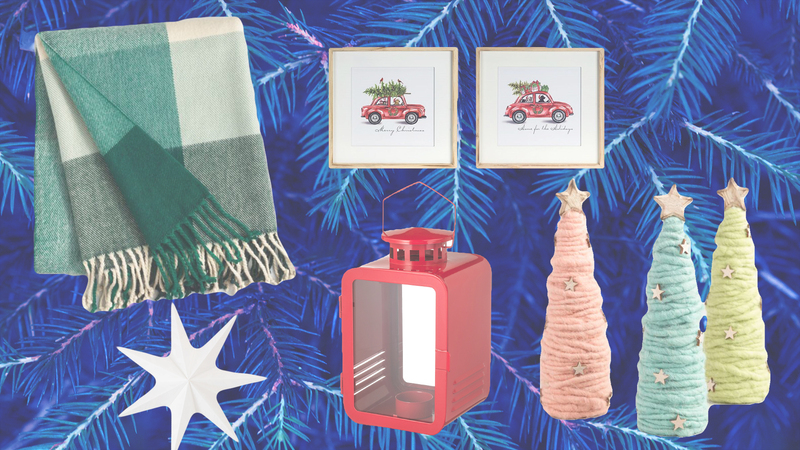 It’s time to deck those halls with festive decor that captures the joy of the season. And since few things make you feel merrier than shopping during this time of year, why not give your faithful old tub of holiday decor an update? Admit it. Your tree-topper has seen better days. 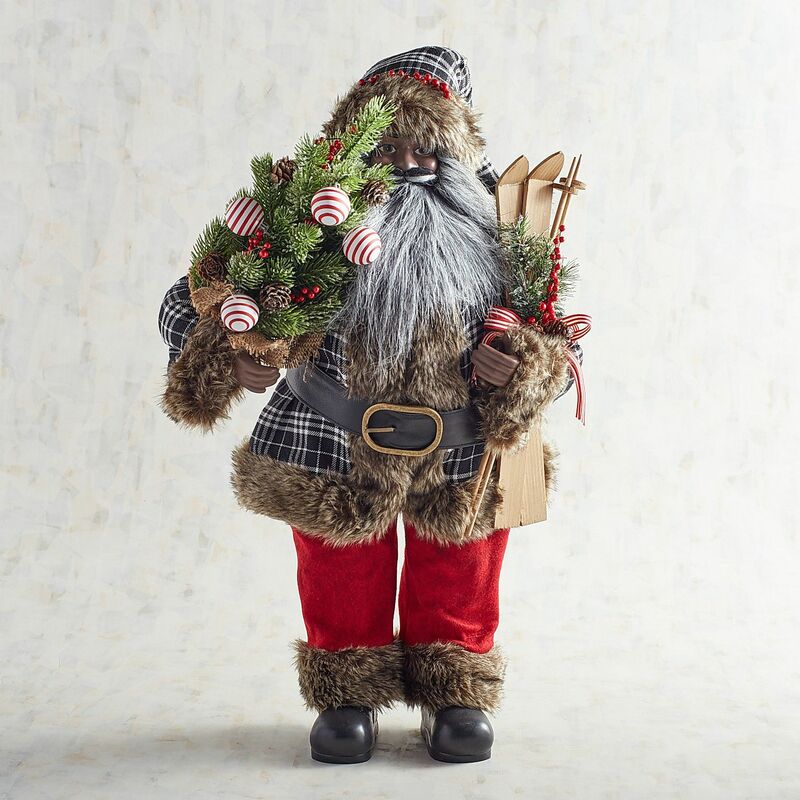 Your wreath is patchier than Santa’s beard during the off-season. Do you even know where your cute holiday welcome mat went? ‘Tis time to spruce up your collection. So, make yourself a warm cuppa something (we recommend one of these delicious hot cocoa recipes), and settle in for a cozy night of clicking “add to cart.” Like calories, budgets don’t count this time of year. At least that’s what we’re telling ourselves. 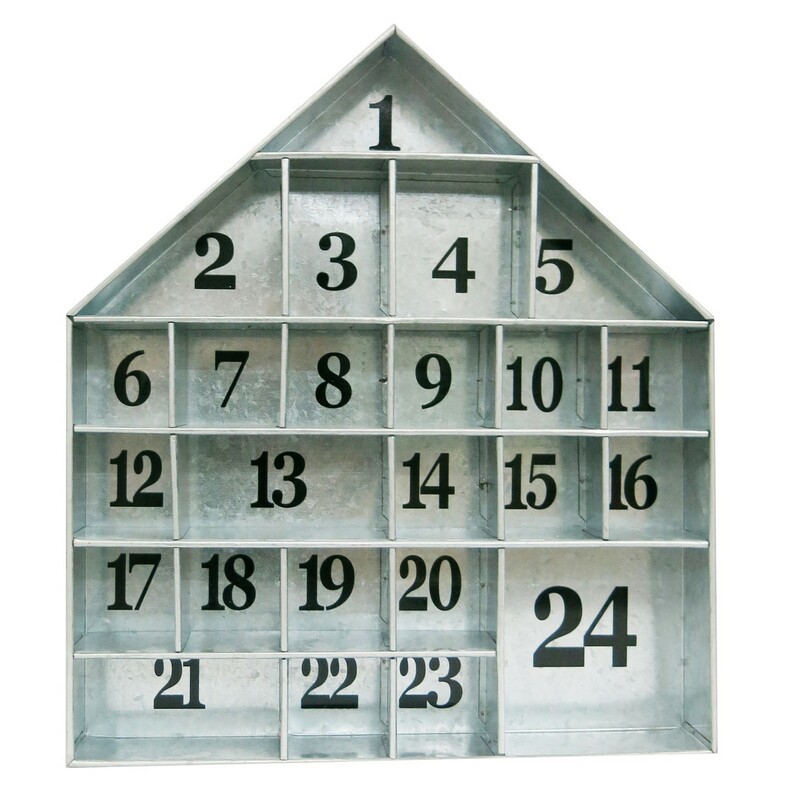 A galvanized metal advent calendar in the shape of a house couldn't be more perfect for counting down the days until Christmas in a farmhouse-chic home. If you're planning to venture outside the classic red-and-green holiday color scheme this year, we highly suggest building your palette around these infectiously cheerful Lucite Christmas trees. 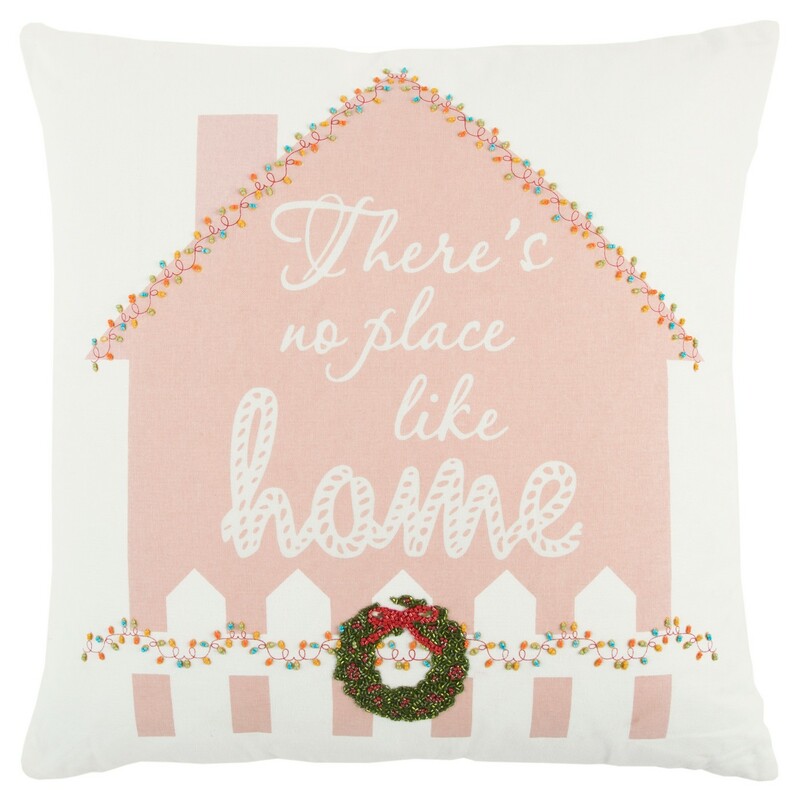 There's no place like home for the holidays, and this sweet throw pillow serves as an ideal reminder of that. 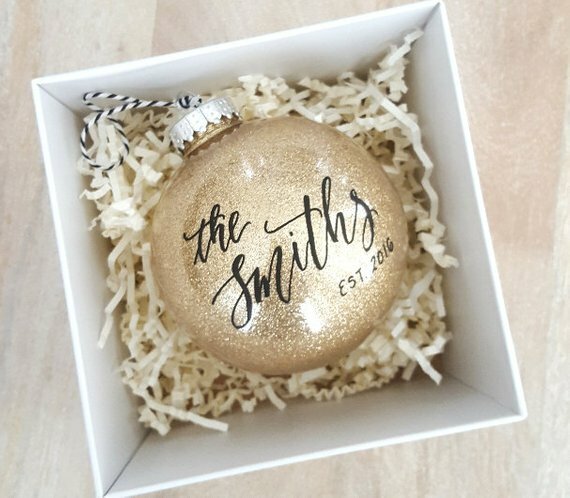 Make this holiday season one to remember with a personalized (and sophisticated!) ornament for the tree. 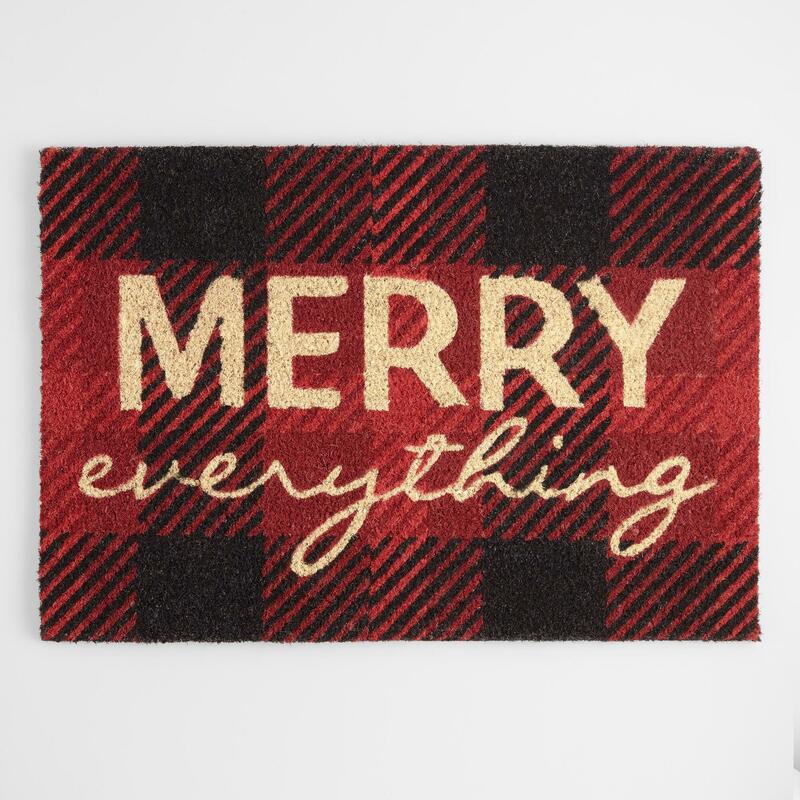 Red-and-black buffalo plaid paired with a decidedly joyful sentiment make this welcome mat a surefire hint of the holiday happiness inside your home. 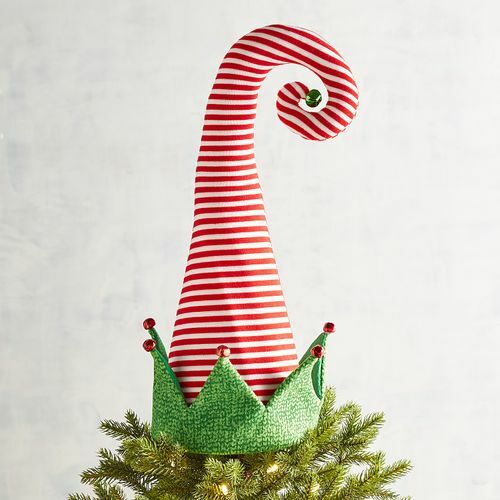 Could this tree topper be any cuter? You'll half-expect Buddy the Elf to pop out from behind the tree and offer to make paper snowflakes or a wooden rocking horse. 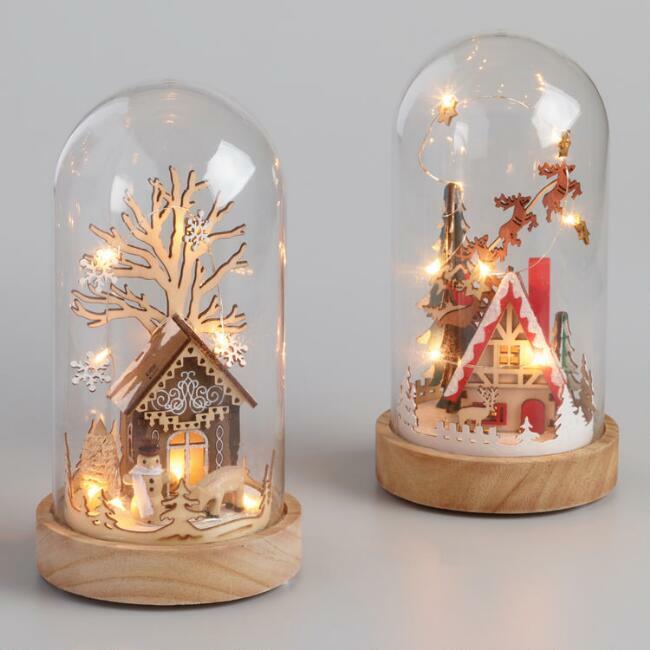 One of the most wonderful things about the holidays is the inherent sense of coziness, and these tiny wooden houses in glass cloches exude that in spades. 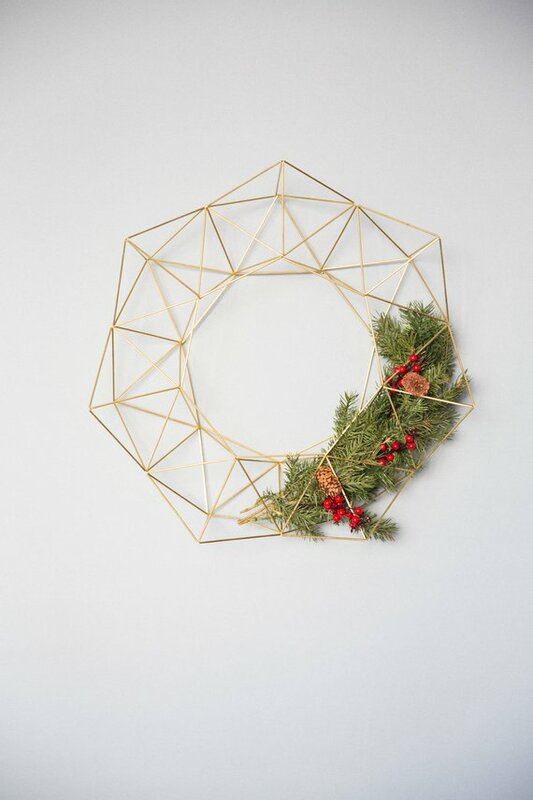 The brilliance of this "wreath" is that you can fill it with holiday sprigs now and swap it out with seasonal air plants after. 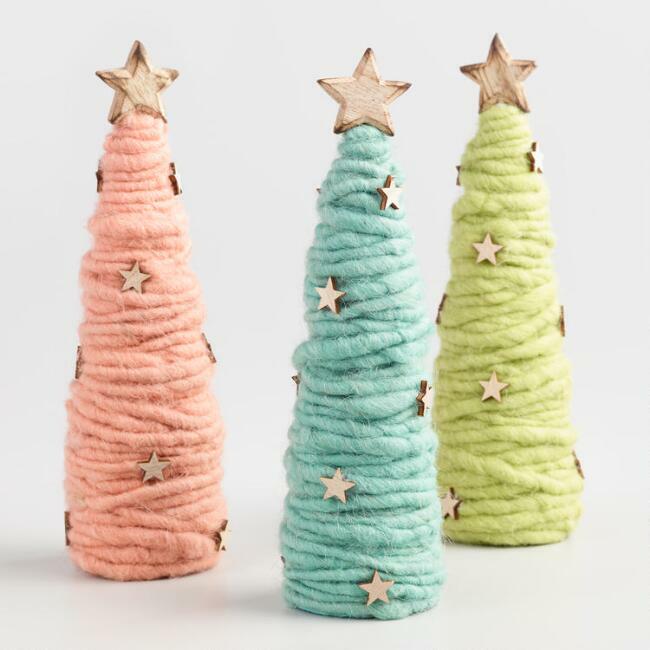 Wood and wool cone trees in pink, aqua and pale green will woo anyone who crosses your threshold this Christmas. 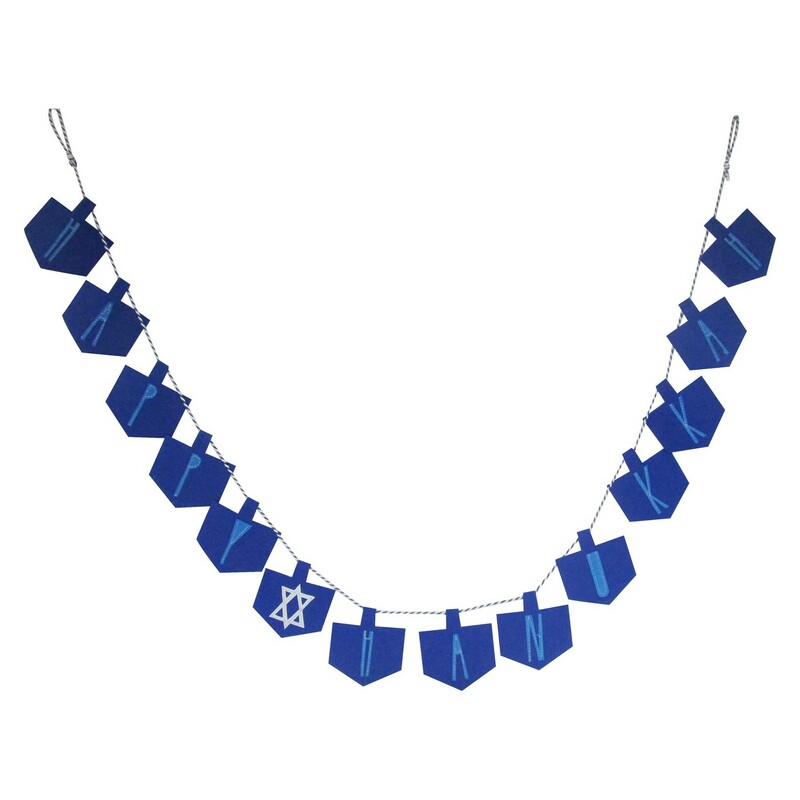 This felt banner is a quick and affordable way to add some festivity to a child's room. Image: Dream Craft By Lucy/Etsy. 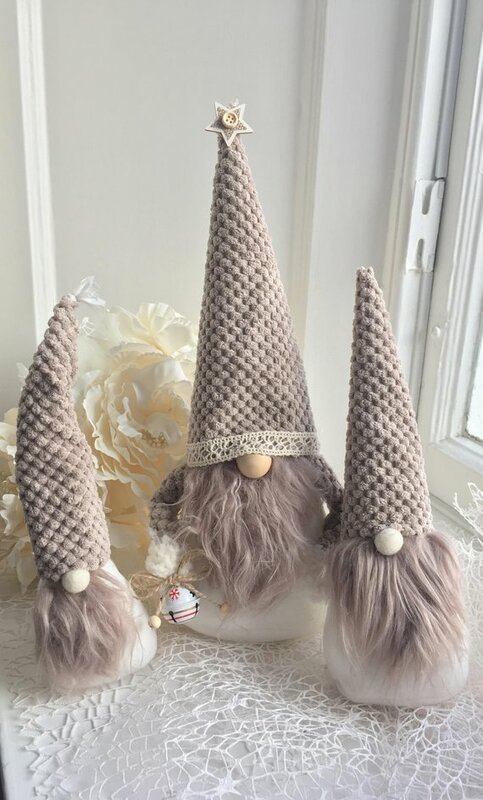 If you're looking for something both whimsical and elegant to dress up your decor this holiday season, these precious Scandinavian gnomes could be just the ticket. 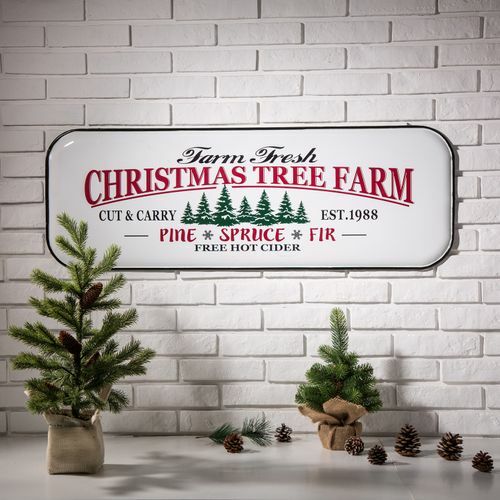 Not only will this enamel "Christmas tree farm" sign charm guests, but it will likely also inspire a family trip to pick out your own holiday evergreen. 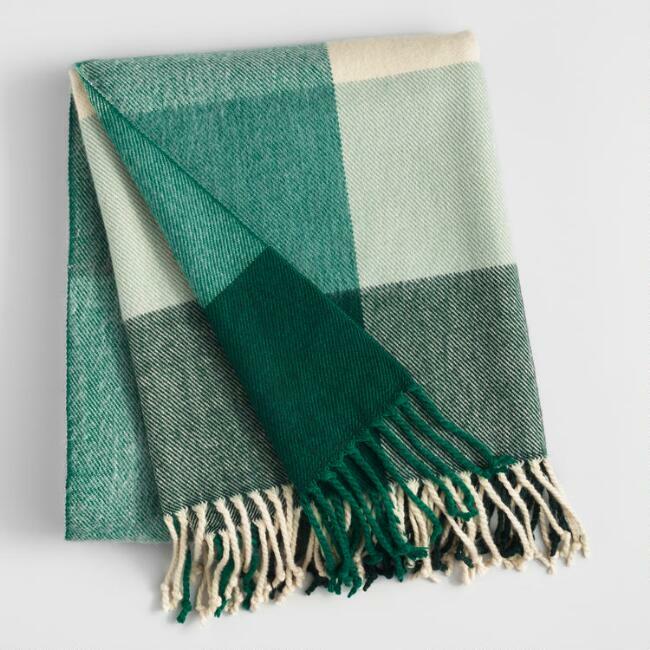 This classic throw couldn't be more perfect for wrapping up in while you sip hot cider from the comfort of your sofa. 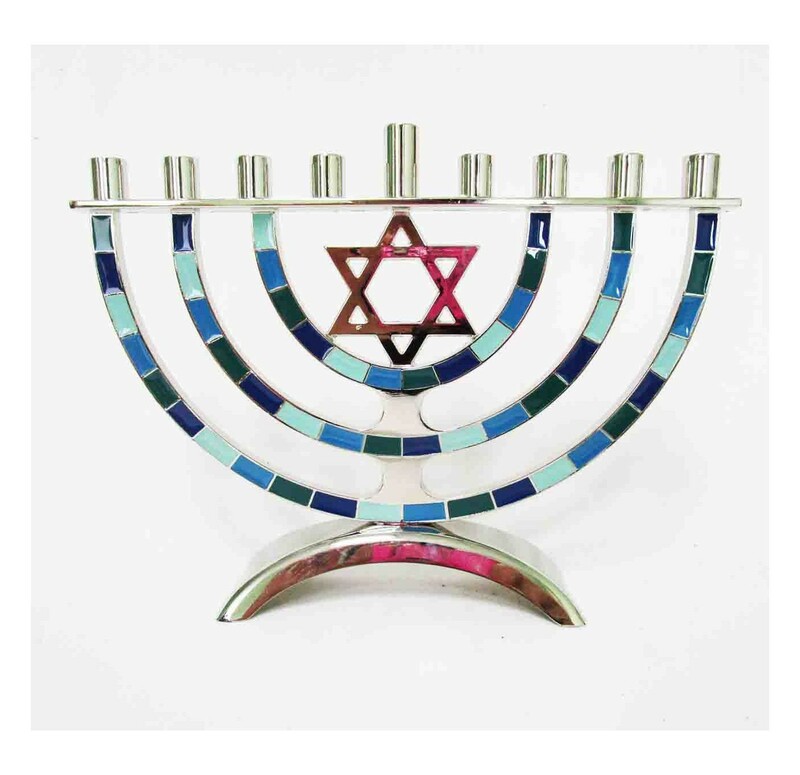 This blue-and-silver menorah will add a touch of elegance to any table setting. A Christmas words tree on your mantle quite literally spells out how you're feeling this holiday season. 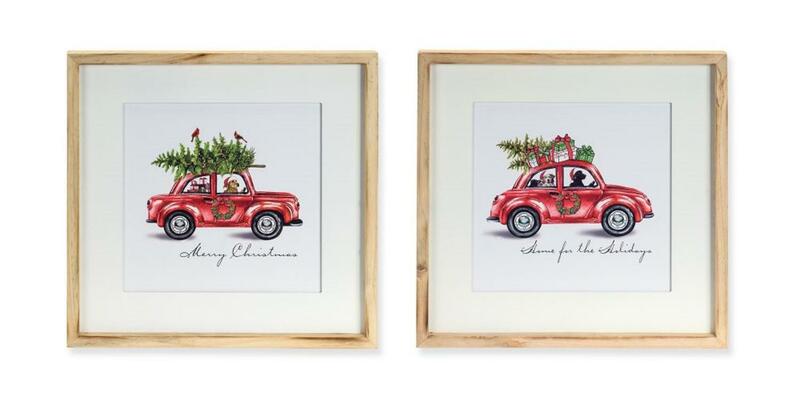 These sweet prints have a lighthearted, nostalgic feel that will fit right in with the rest of your beloved red-and-green holiday decor. 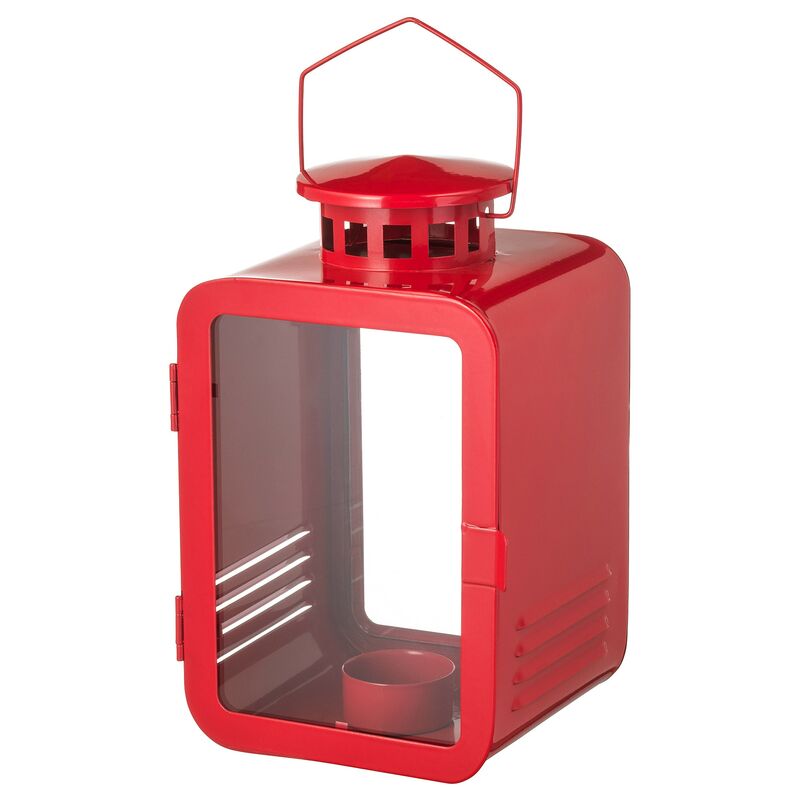 These festive red tea light lanterns are a perfect size (and price!) 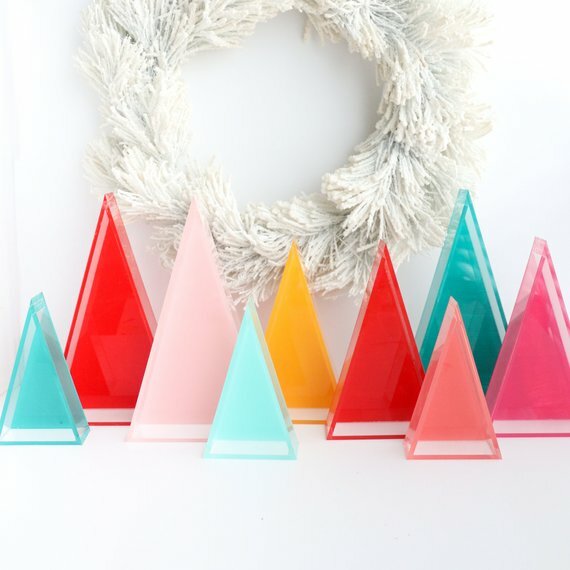 for grouping to create colorful holiday vignettes. Ho, ho, ho — Merry Christmas! You can't very well celebrate this special holiday without St. Nick, and this figurine is too beautiful to pass up. Capture the magic of Christmas by harnessing your pendant light's twinkle with the Stråla lamp shade. 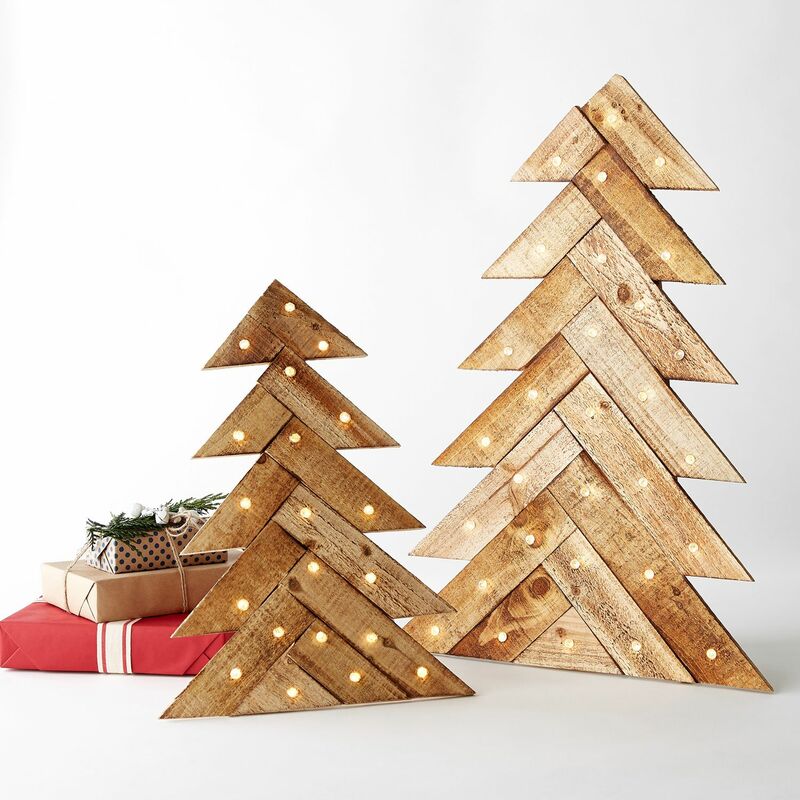 These LED light-up wooden trees make a lovely addition to any decor. Bonus? They could also serve as a clever alternative to a traditional tree in small spaces. Not gonna lie — these ornaments remind us of Peter Rabbit, and we're kind of loving the idea of a literary childhood-themed tree. 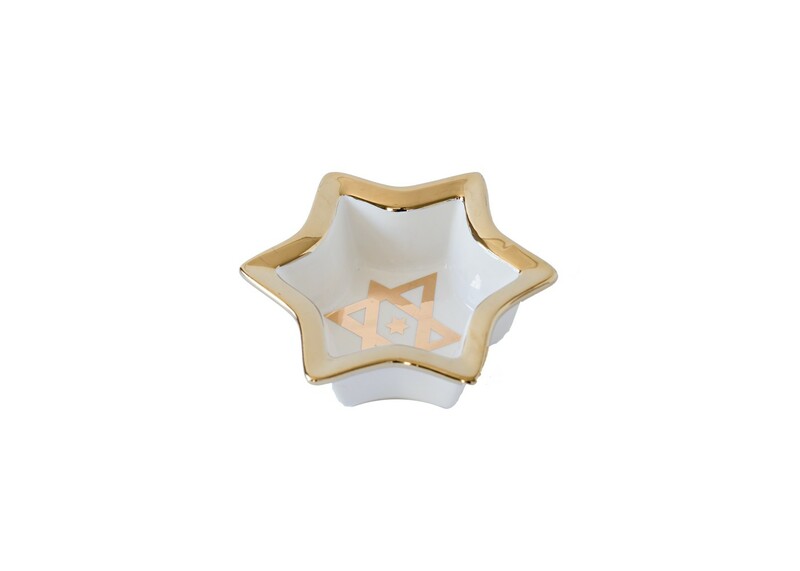 This white-and-gold star of David dish is so versatile. Fill it with candy, set it on the table as decoration or place it next to your door as a spot to drop your keys when you get home.